The Assessment Center at the Ohio Technical Center at Vantage Career Center is an authorized test adminstration facility for a number of career-related certificates and credentials. Our assessment services provide potential students and other test candidates the opportunity to complete a variety of exams through vendors such as Pearson VUE, Certiport, Castle, and Kryterion in a secure, comfortable environment. Enrollment in OTC Vantage full-time adult career programs requires completion of the ACT WorkKeys. This assessment assists students, educators and employers by identifying skills needed for success in career-technical training or workplace settings. Performance on the WorkKeys may also qualify for the National Career Readiness Certificate (NCRC), a verifiable credential of workplace skills. SCHEDULE AN APPOINTMENT: Prospective students interested in OTC Vantage adult programs may call (419) 238-5411 Option 2 for more enrollment information and to schedule an appointment. PLEASE NOTE: A valid PHOTO ID will be required at the time of your appointment. Please see additional Assessment Center Policies and Guidelines below. FOR MORE INFORMATION see the FAQs about ACT WorkKeys requirements and test preparation linked below. Certiport is dedicated to enhancing individual success through high-stakes career-oriented certifications and globally recognized credentials. Certiport is a leader in professional recognition for digital literacy and desktop computing proficiency. 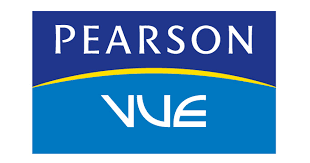 Vantage Career Center is an authorized Pearson VUE GED® Test Center location.. The GED® exam is a computer based test that includes four sections: Reasoning through Language Arts, Mathematical Reasoning, Science and Social Studies. The cost is $30 for each subject or $120 for the complete test. For Ohio residents, a voucher is available for first time test-takers to assist in covering up to $80 of this cost ($20 for each section/ $80 for the complete test). To participate in the Voucher Program, test-takers must contact the school for additional guidance and assistance prior to registering and paying for the test. The specific purpose of the High School Equivalency program is the measurement of the educational development of adults who have not completed their formal high school education. What test formats are available? HSE is now available through three different exams. Testing is available on paper and on the computer. How do I register for HSE Exams? To register for the GED tests please visit ged.com. How long are the HSE Tests? Administration of the HSE tests are approximately 7-8 hours. Candidates must register and can select any time that is convenient. How much are the HSE tests? The HSE tests cost from $18 to $30 per subject area. Credit card or vouchers are the only forms of payment. For more information, please contact the specific exam company listed above. Yes. If you have a documented disability, you can request testing accommodations from the HSE Testing Administration. If approved, accommodations are provided at no additional charge. Testing accommodations can be requested during the registration process.